Batenburg, K.J, Palenstijn, W.J, Balázs, P, & Sijbers, J. (2013). 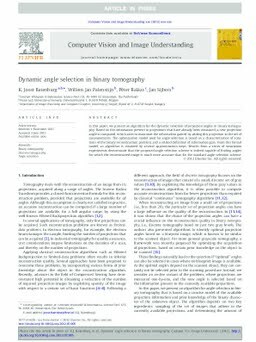 Dynamic Angle Selection in Binary Tomography. Computer Vision and Image Understanding.